F.T. Snyder Jr. Collection. Hackensack, N.J.
Steel "Gondola" Hurried From Track by the Great Tornado. 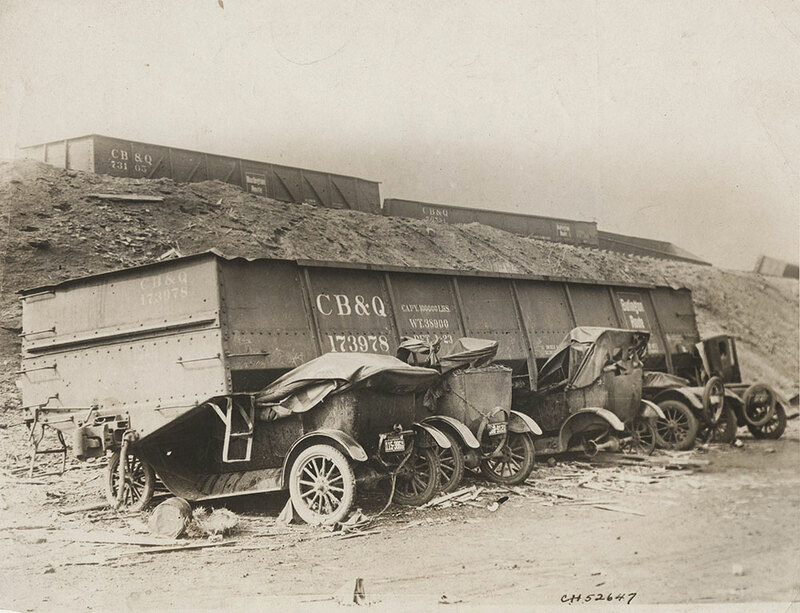 52, 647 "An Unexpected Visitor But No Ride"-- A row of Fords somewhat damaged when heavy steel "gondola" freight car, hurled from track by the tornado, landed squarely atop them, at West Frankford, Illinois-- a picture illustrating perfectly the unprecedented power of the terrible wind.